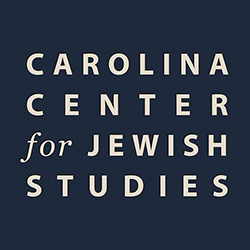 When the Carolina Center for Jewish Studies was created in 2003, we had a clear sense that building a program in Jewish Studies at Carolina would be different. For us, it represented an opportunity to envision an academic program that would be far more integrated into the liberal arts than many Jewish Studies programs created at peer institutions. Jewish Studies is a highly interdisciplinary field that concerns itself with the history, culture, and religious traditions of Jews in their interactions with others from the ancient period to the present. It draws faculty strength from religious studies, history, languages and literatures, archaeology, political science and other disciplines in the humanities and social sciences. Jewish Studies thus exemplifies what a liberal arts education can be in the 21st century. The strategic goal guiding our first decade has been to assemble a comprehensive faculty in Jewish Studies through a combination of private giving and state support. Of the more than $15 million the Center has raised to date, the lion’s share has gone to professorship funds, and the College of Arts and Sciences now boasts eight endowed professorships in Jewish history and culture, five of which have already been filled. All in all, since 2003, the College has recruited nine new Jewish Studies faculty in five different departments — this is a hiring rate that has no parallel anywhere in the nation. Creating a program from scratch has also enabled us to envision an academic curriculum that realizes Jewish Studies’ potential to be a model for liberal arts education. The new B.A. degree in Jewish Studies that the Department of Religious Studies rolled out in 2012 embodies the three-pronged approach— Jewish Studies as interdisciplinary, historical, and global—that makes Jewish Studies both such an exciting and innovative field of inquiry unto itself and an integrative force within the humanities. We anticipate meeting these goals by building on the Center’s success in fund raising. In the next decade we plan to raise an additional $12 million to take the Jewish Studies program to the next stage. All of us at the Center, and the College of Arts and Sciences, look forward to partnering with alumni and friends to make the next 10 years as exceptional as the first 10 years.